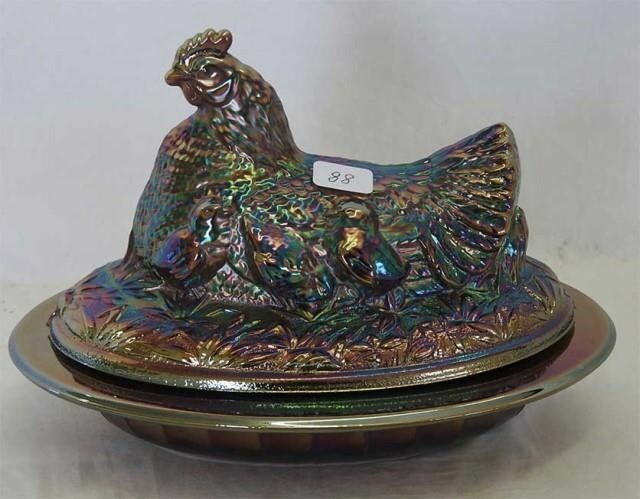 Pattern Description: Oval covered bowl. 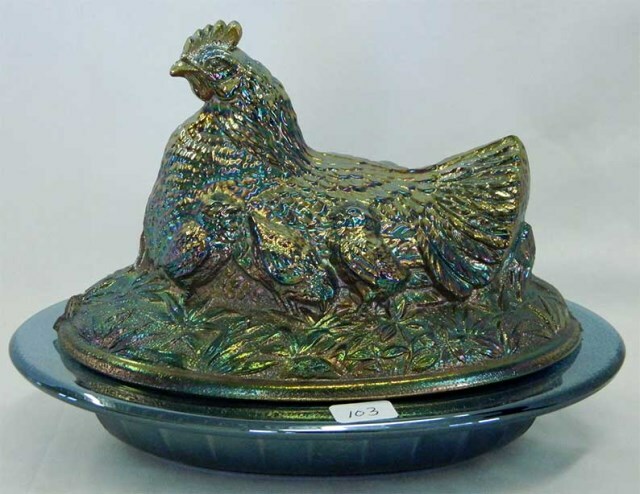 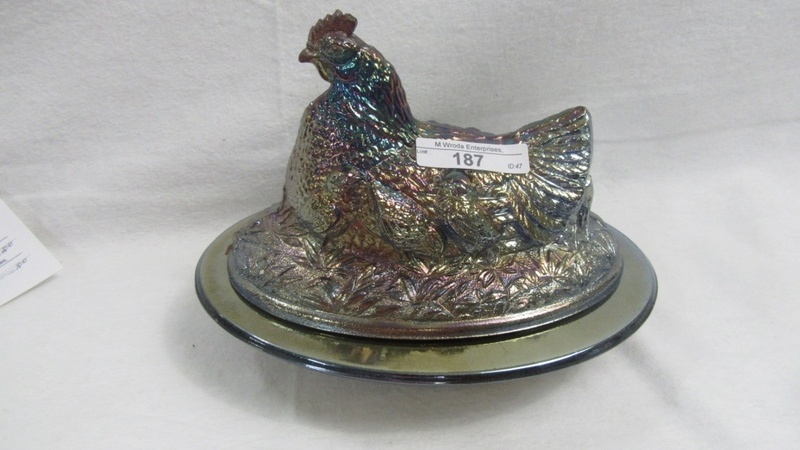 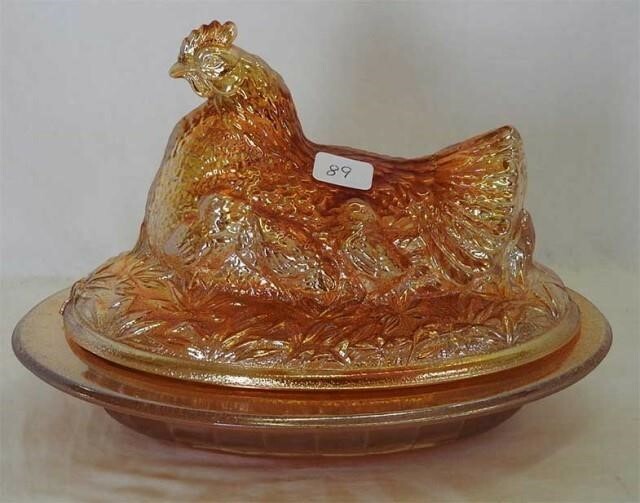 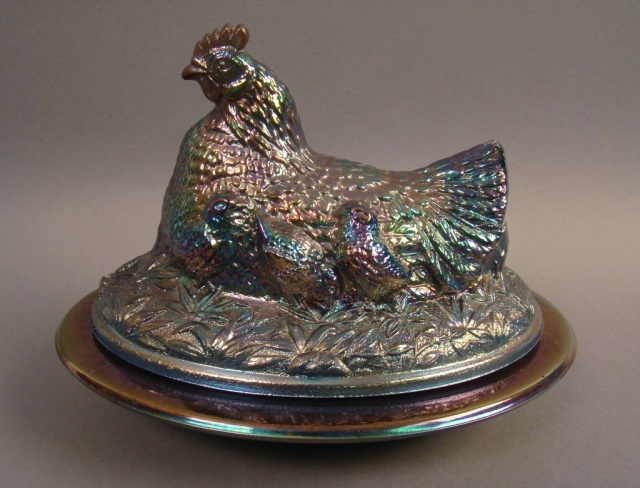 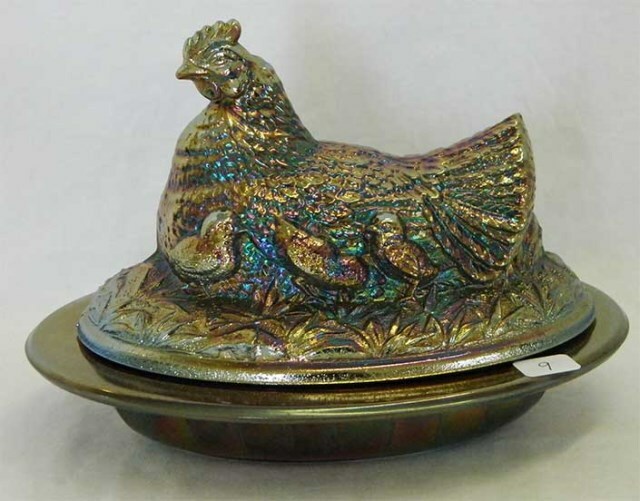 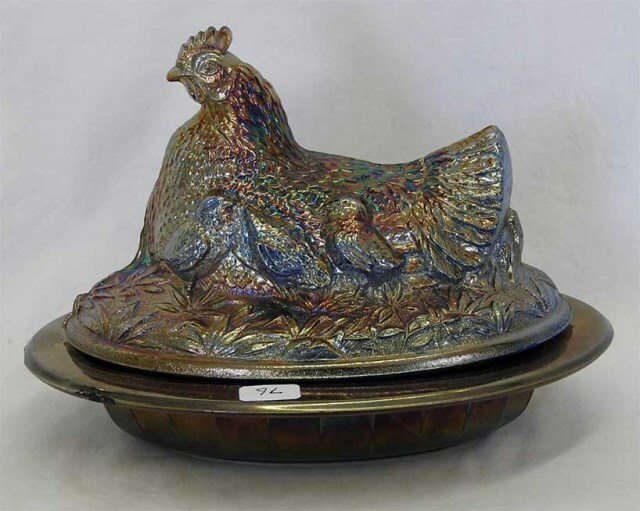 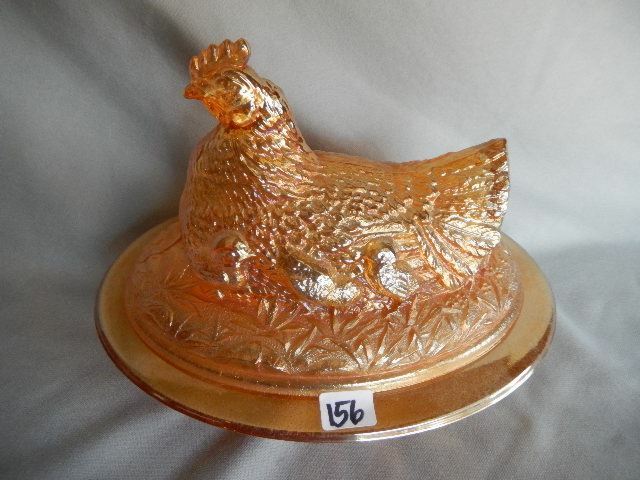 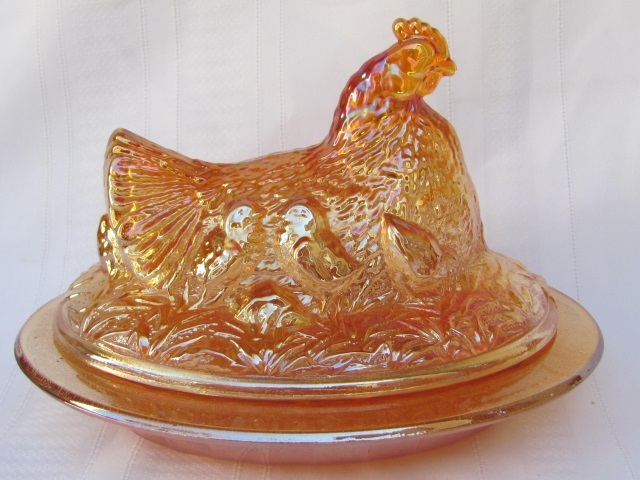 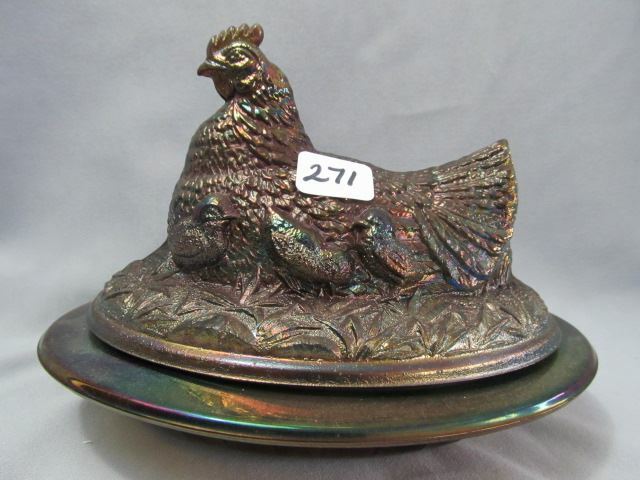 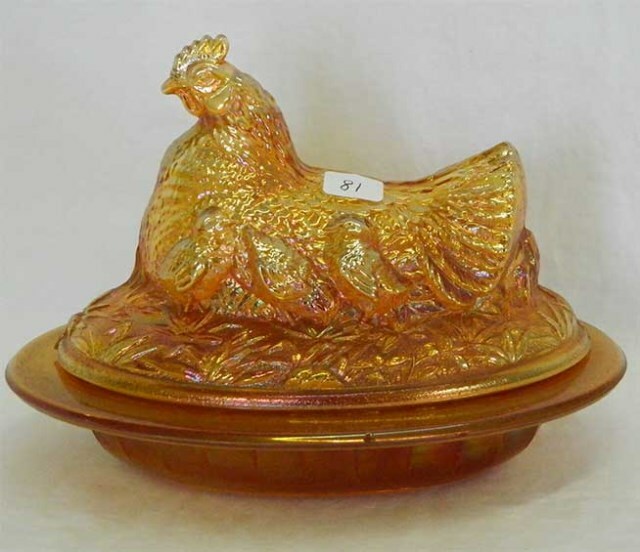 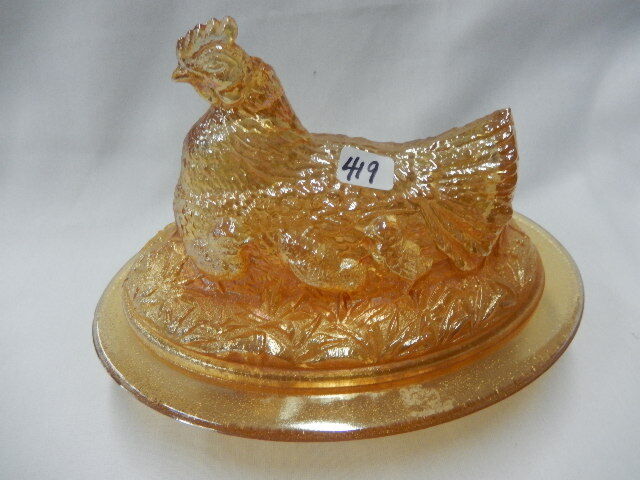 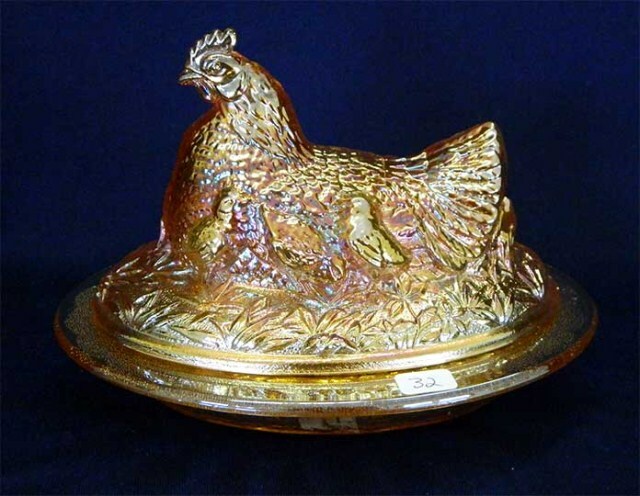 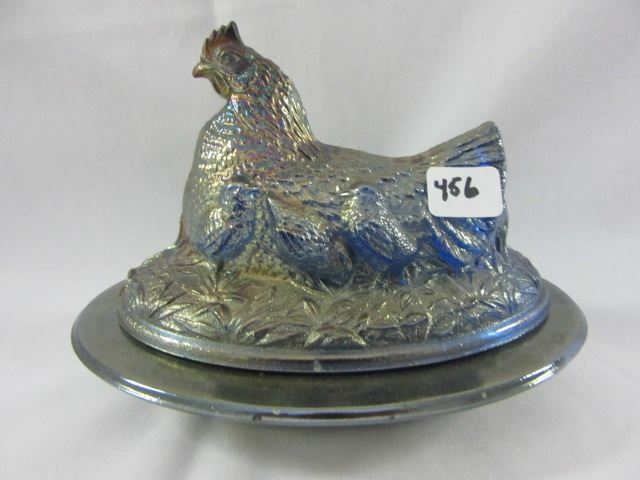 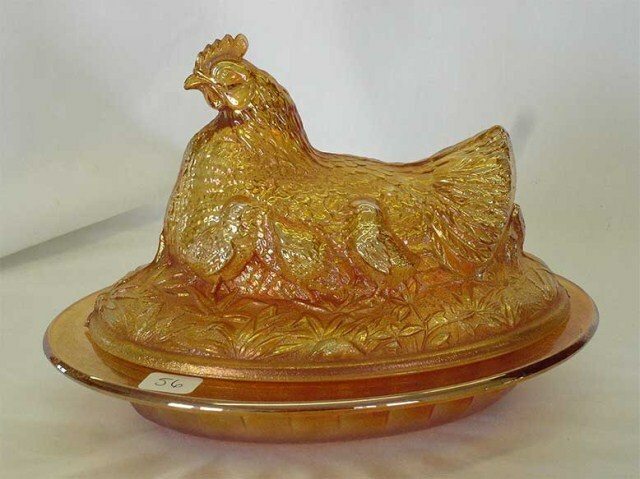 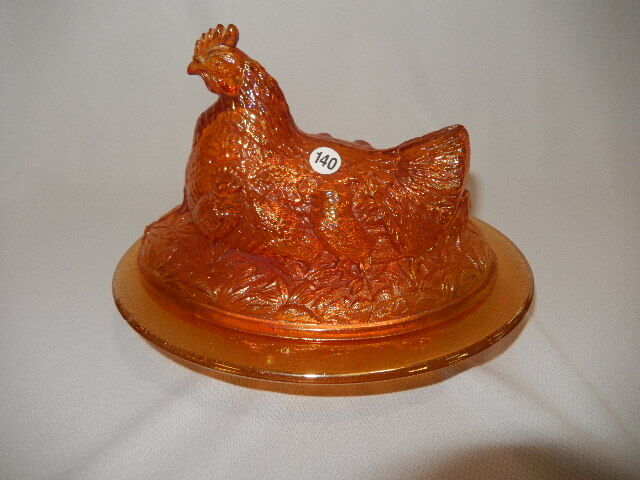 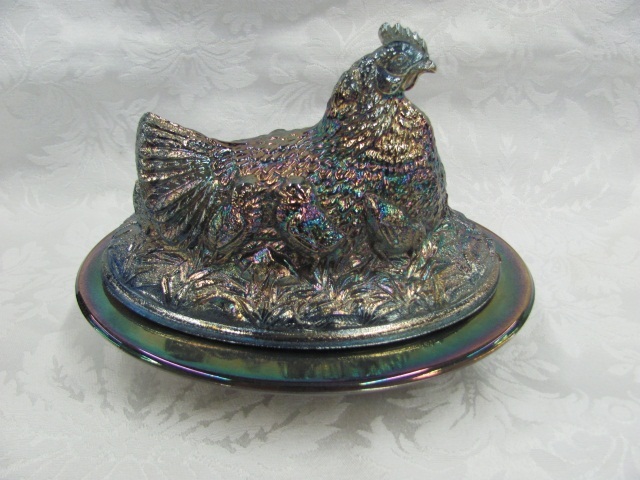 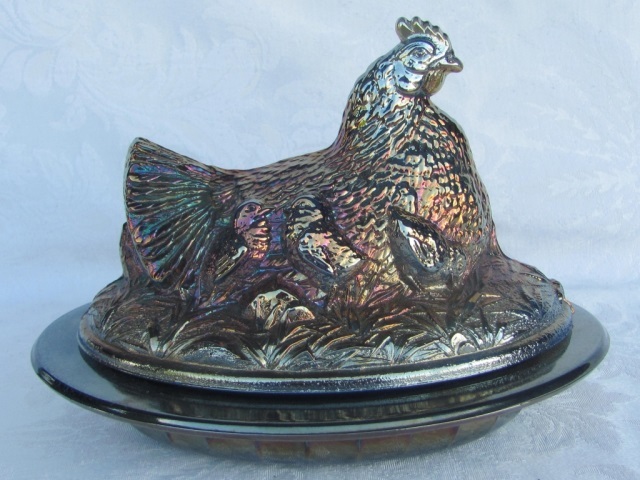 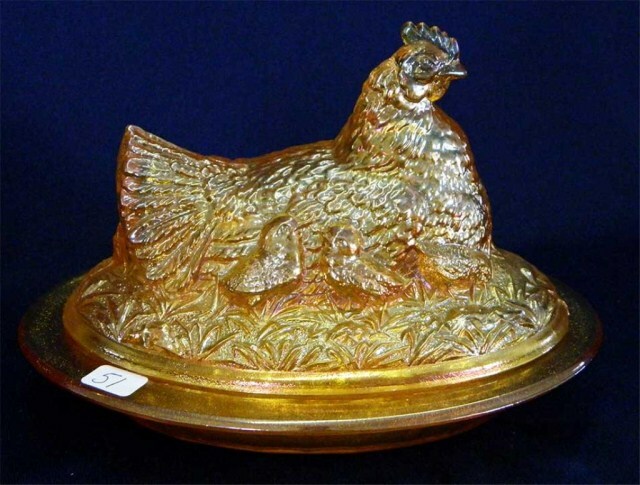 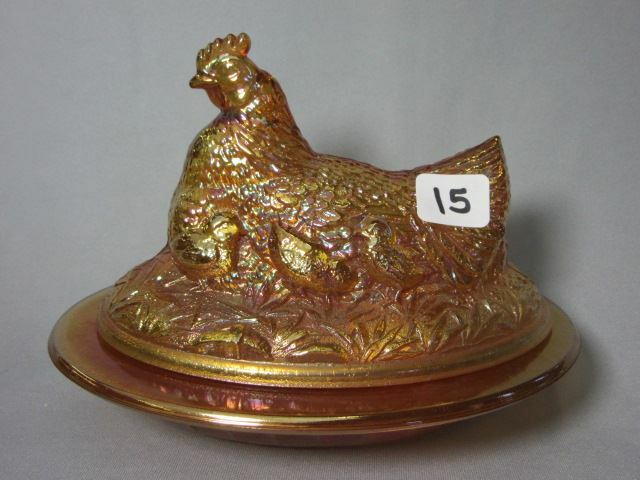 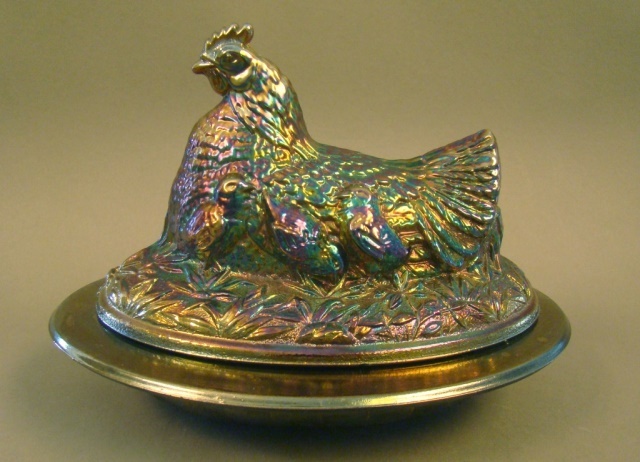 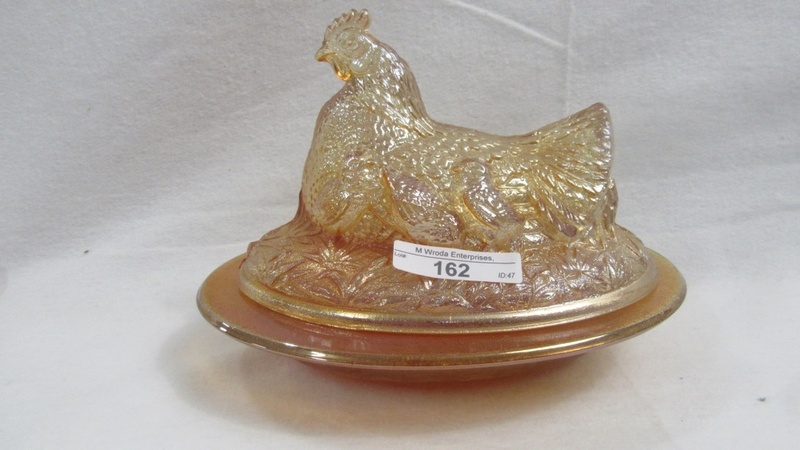 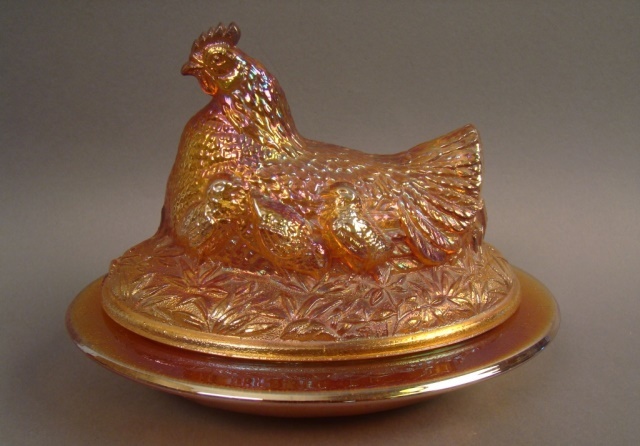 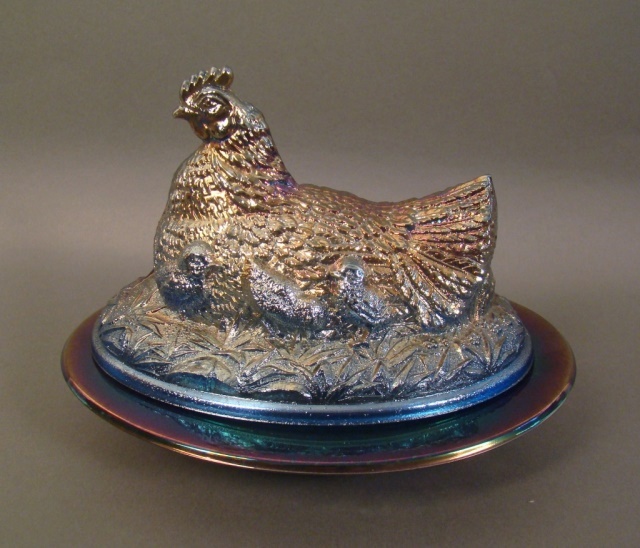 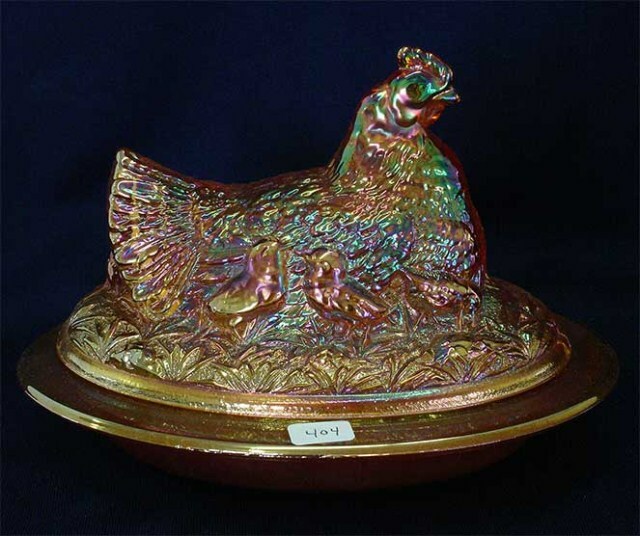 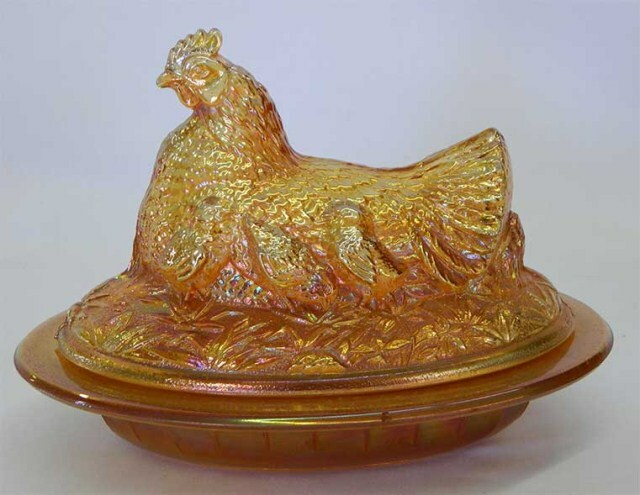 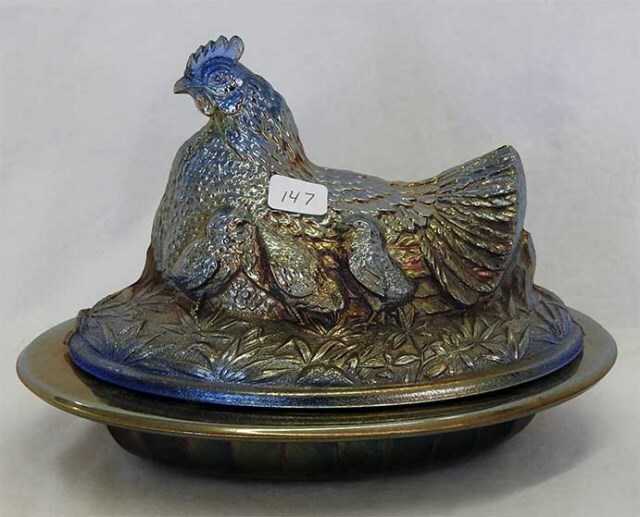 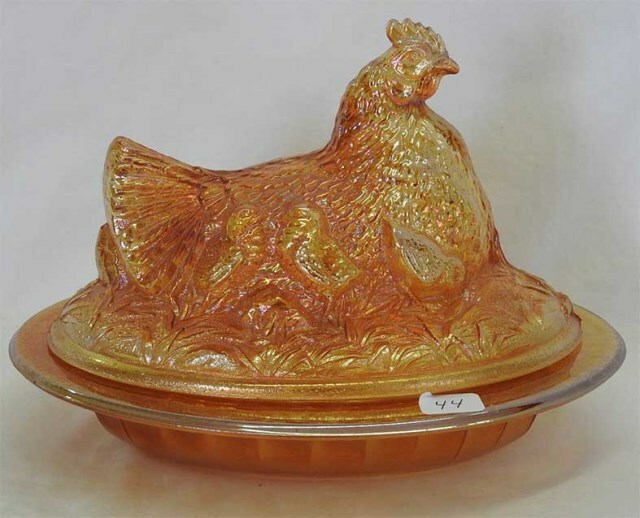 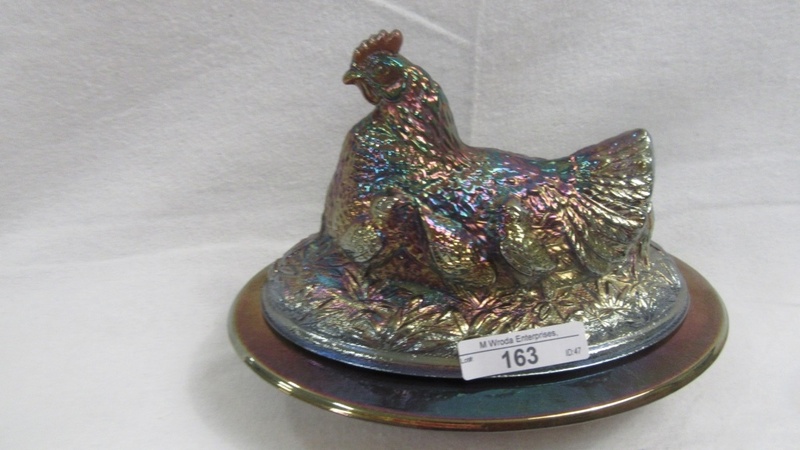 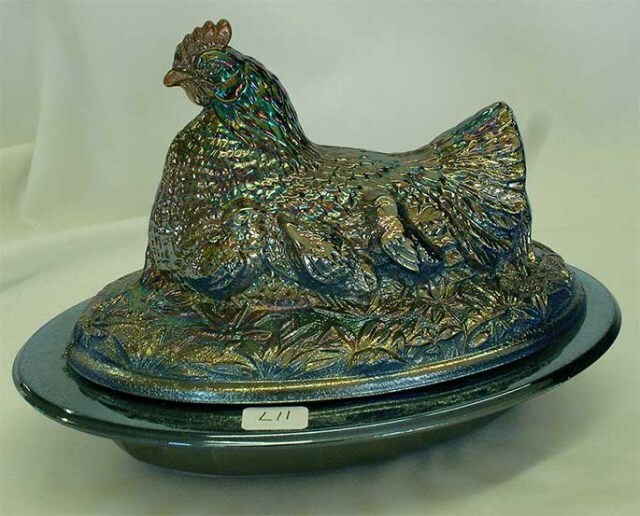 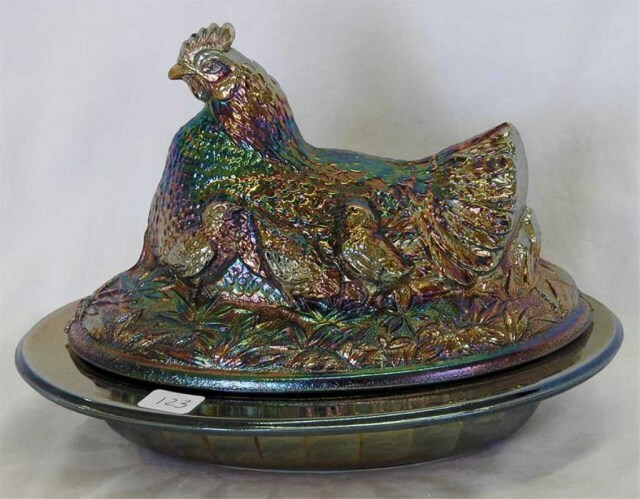 Low bottom bowl holds a large and heavily designed sitting hen. 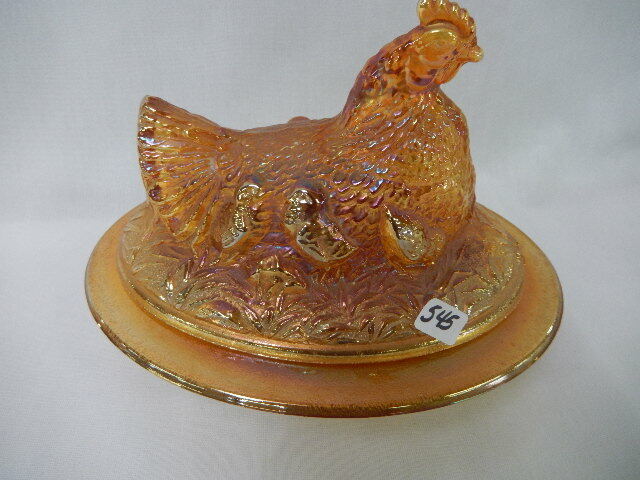 Baby chicks are place on the sides of the hen.